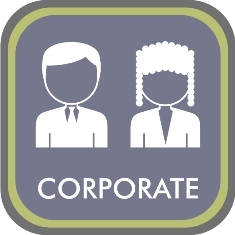 Corporate and commercial litigation can put any establishment at great risk. It is therefore crucial that you are well prepared for any eventuality. VERSTER-ROOS INCORPORATED ATTORNEYS & CONVEYANCERS offers a comprehensive range of professional services. We are able to provide strategic advice, be it with regards to the establishment of a new business or a joint venture. We have at our disposal a broad range of experience enabling us to provide innovative, creative and customized cost effective services to our clients in a variety of industries. In recent years globalization of trade and investment, the emergence of new markets, increasing international merger and acquisition activity and the growing convergence of trade, finance and global corporate governance have become a reality. It is imperative to stay at the forefront of developments if you want to be successful in your business ventures today. Be it that you are just starting out, or if you need a new and fresh approach in a well established enterprise. It is important to lay strong foundations from the beginning in order to ensure that your company is able to adapt to any change in circumstance. From small start- up to accomplished and well established corporate clients. We strive to serve each and every client with our best efforts and a high level of integrity at all times. Ensure that you are well protected and informed at all times.